A great dean once set out to create the perfect school mascot. A bubbly, optimistic creature of school pride and study-hard-itude. 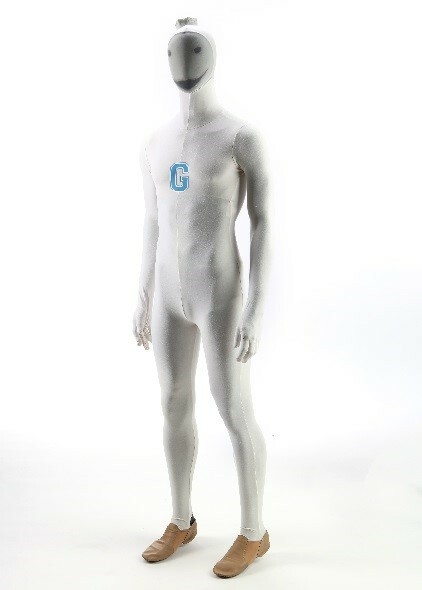 A mascot that represents the student body as a whole, regardless of an individual student’s odd hair line, questionable morality, or deplorable grooming habits. And I nailed it! 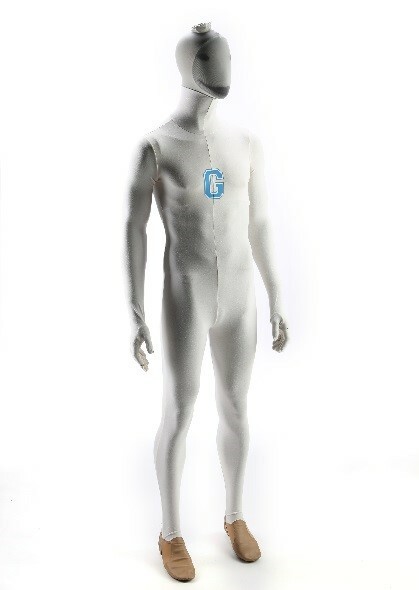 The Greendale Human Being is probably my crowning achievement over all my time here at Greendale. 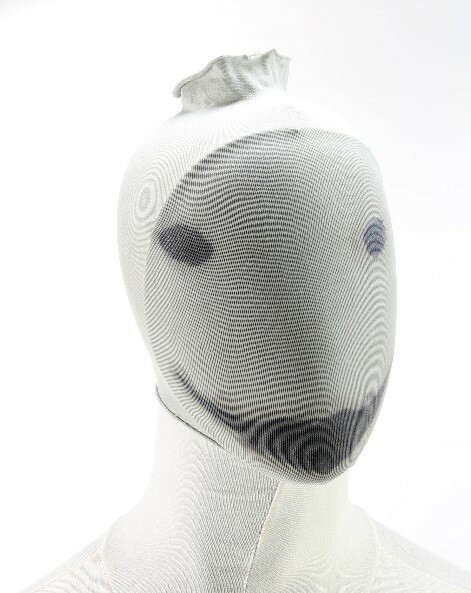 With its hip-hugging grey body suit, loveable stocking mask, and sensible leather flats, this auction lot is bound to brighten up any man cave or suburban cul-de-sac. It even includes an extra kissy face stocking, so Whoop-di-Dean! 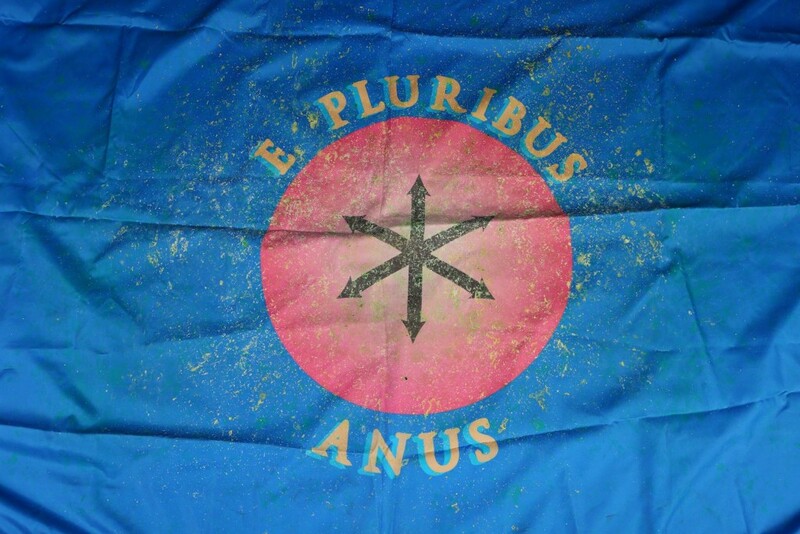 So… look, we all have our dark times. 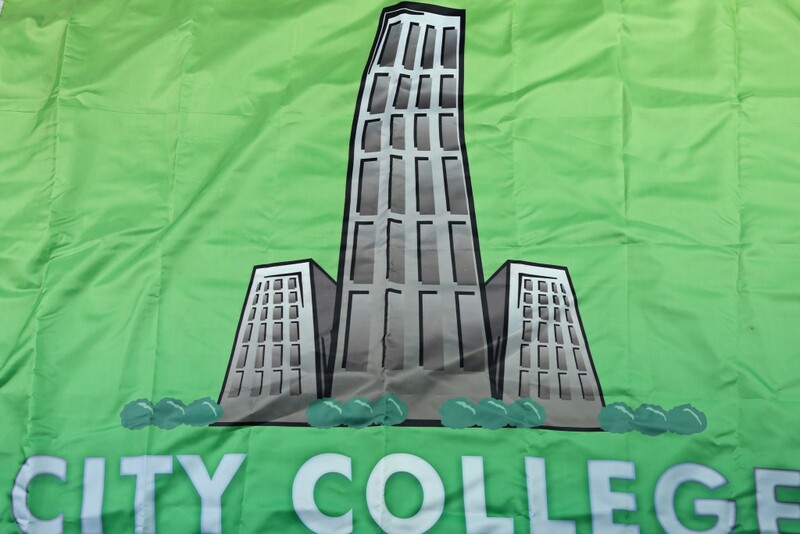 When a second, even more vicious game of paintball erupted on campus, thanks to our rivals at City College, I may have momentarily lost my trademark cool. 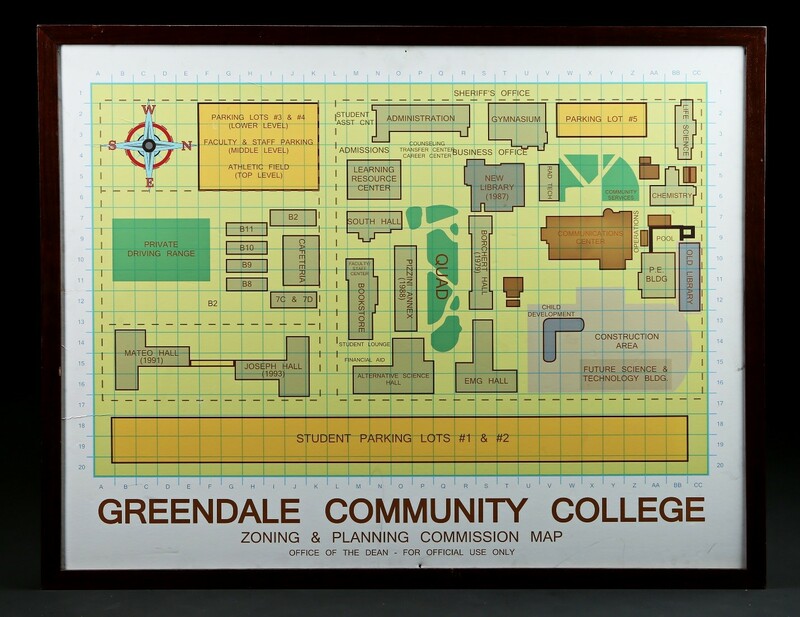 But, thanks to the noble efforts of Jeff Winger (Editor’s note: many other students played very key roles in the battle), Greendale beat back City College’s brazen advances and led us to victory and summer vacation. 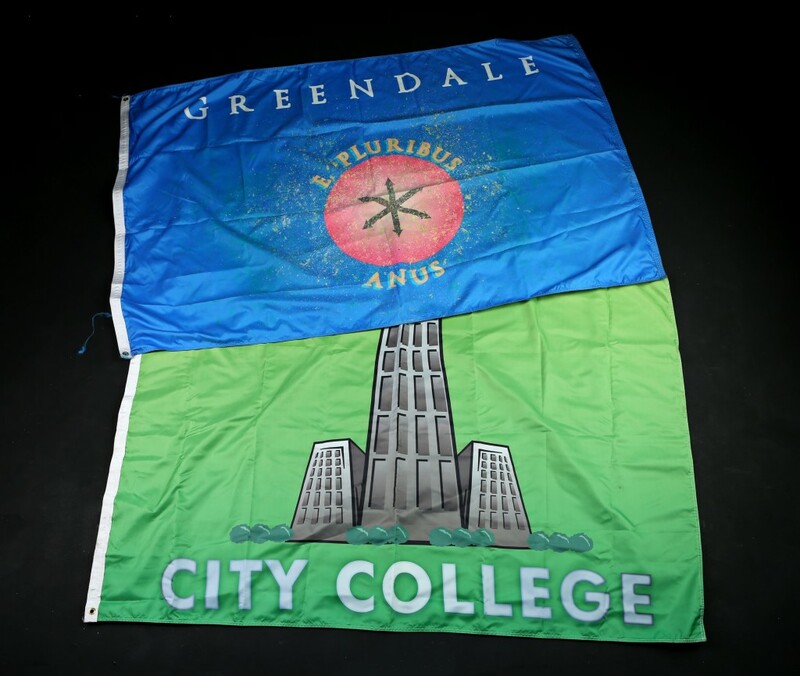 These paint splattered flags are my favorite mementos from that day and are offered in the auction as proof of Greendale’s commitment to target practice and higher learning. 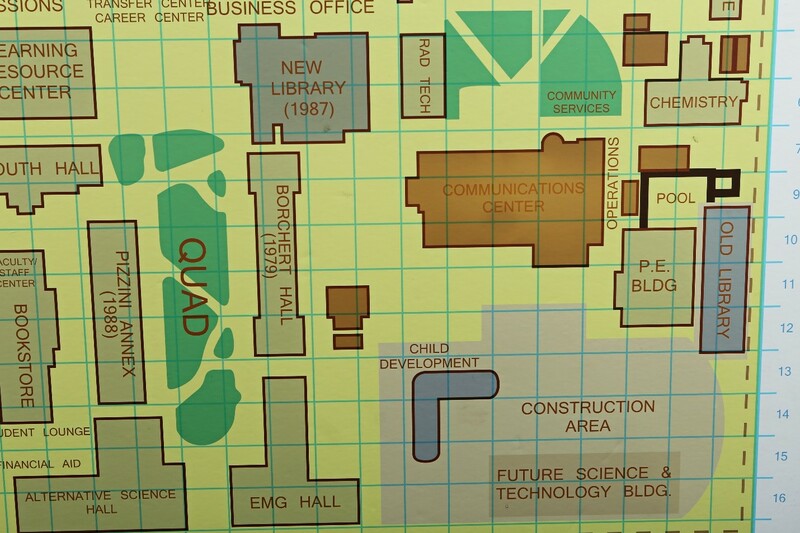 It’s like what I’m always saying behind closed doors, “You can’t dream big without a big map.” This beautiful map of our second-tier campus was my lifeline to the school itself for years. 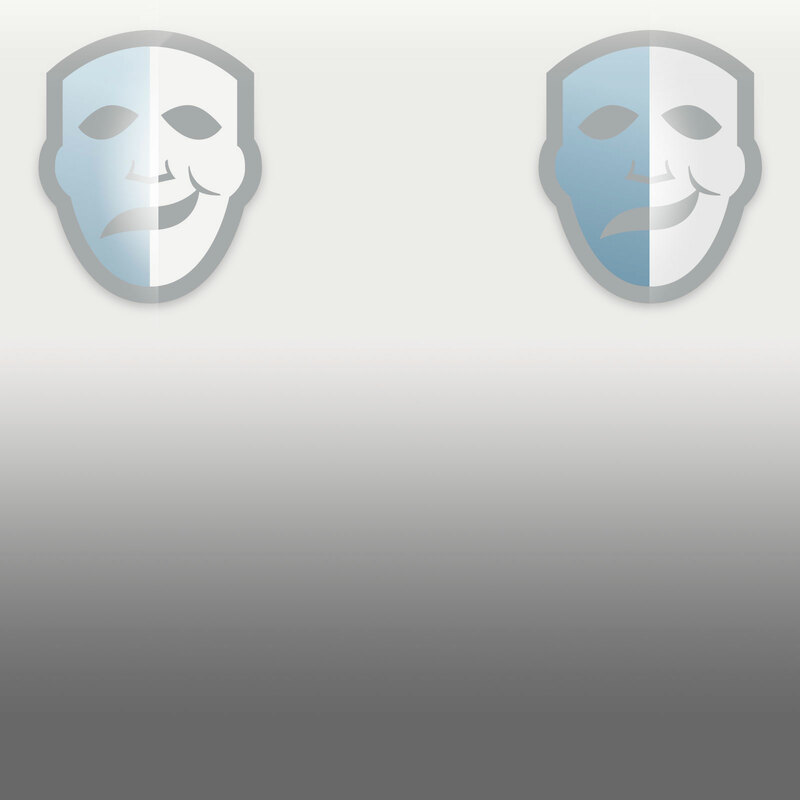 Sometimes, I could even hear it whisper ideas to me. Sure, that was during the whole gas leak debacle, but I’ll never forget those words. 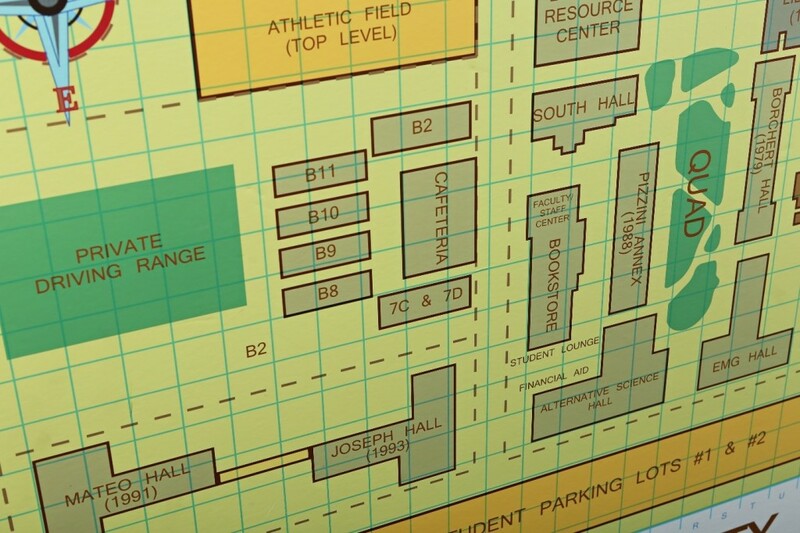 Any-Dean, I’ve got a touch screen now, so bye, bye this map so that you can buy, buy this map. 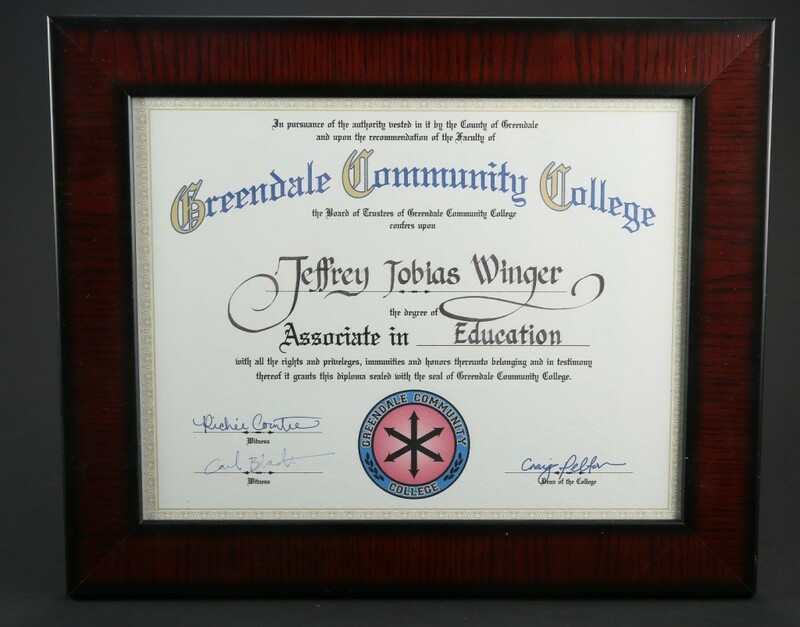 Both my proudest and saddest moment as a Dean, a friend, and a Greendale Human Being was the day I had to sign a diploma for that gorgeous, ripped, and learned disgrace of a lawyer, Jeff Winger. 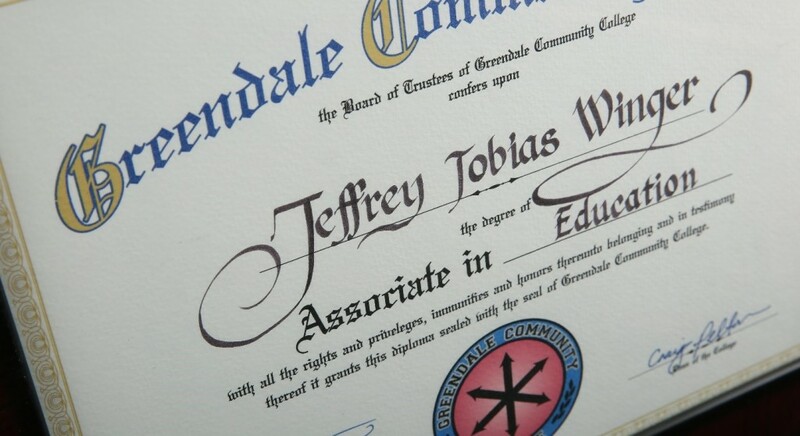 Jeff, along with his goal-oriented study group, was completely focused on his education and helping his fellow man throughout all of his time here at Greendale. Cherish this lot, cradle it at night, because it comes from a better man than you will EVER be! Ta-ta! Well, this is Dean Dangerous signing off, but remember these lots and many more are open for bidding in Prop Store’s Community Auction, with lots closing June 30th, 2017. Check back again soon, just in case I’m ever allowed to write anything again!